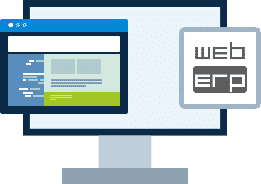 Hosting for your webERP website that just works. Servers optimized to give you the best webERP experience possible. We’ll even install webERP for you! We’ll move the webERP site for you! Softaculous auto-installer – Install webERP in just a few clicks. GD support – Needed for many webERP plugins. Zend and Ioncube support – Needed for some webERP plugins. 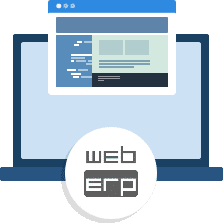 webERP is a complete web based accounting and business management system that requires only a web-browser and pdf reader to use. It has a wide range of features suitable for many businesses particularly distributed businesses in wholesale, distribution and manufacturing. When combined with a 3rd party interactive desktop Point Of Sale system it can also form the hub of a dispersed multi-branch retail management system. A fully integrated webSHOP is also available as a 3rd party add-on. webERP is as an open-source application and is available as a free download to use with all the PHP code written in an accessible way for you to add your own features as needed. BuyHTTP is not affiliated with or endorsed by the webERP project.